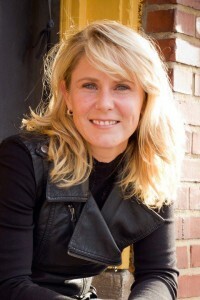 Kelly Finley (B.A., UNC Charlotte; M.A., The University of Alabama) began teaching at UNC Charlotte in 2002. She is a Senior Lecturer and the Undergraduate Advisor for the Women’s & Gender Studies Program at UNC-Charlotte, one of the largest WGS programs in the country. Finley currently serves on the Ms. Magazine Committee of Scholars, working with scholars across the nation to further integrate feminist theory into policy, practice and activism. She also serves on the board of the Southeastern Women’s Studies Association. In 2013, she was nominated for “Outstanding Teaching by a Full-Time Lecturer” for the College of Arts and Sciences, and in 2005 was awarded the “Excellence in Teaching by Part-Time Faculty” award by the College of Arts and Sciences. Finley’s research interests include: female adolescence, virginity, activism, women and work, and body image. In addition to her work as a scholar, Kelly Finley is the Founder and Director of Girls Rock Charlotte, a non-profit organization dedicated to serving girls, gender diverse and trans youth ages 10-16.